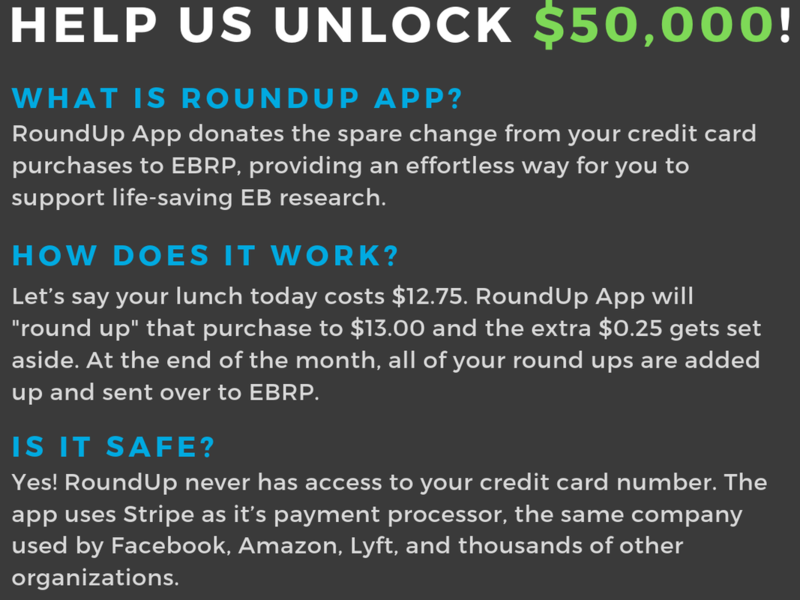 For Rare Disease Day on 2/28, help EBRP unlock a $50,000 gift by signing up for RoundUp App. International donors, scroll down to read specific instructions for your sign up. US donors, click the button below to get started. 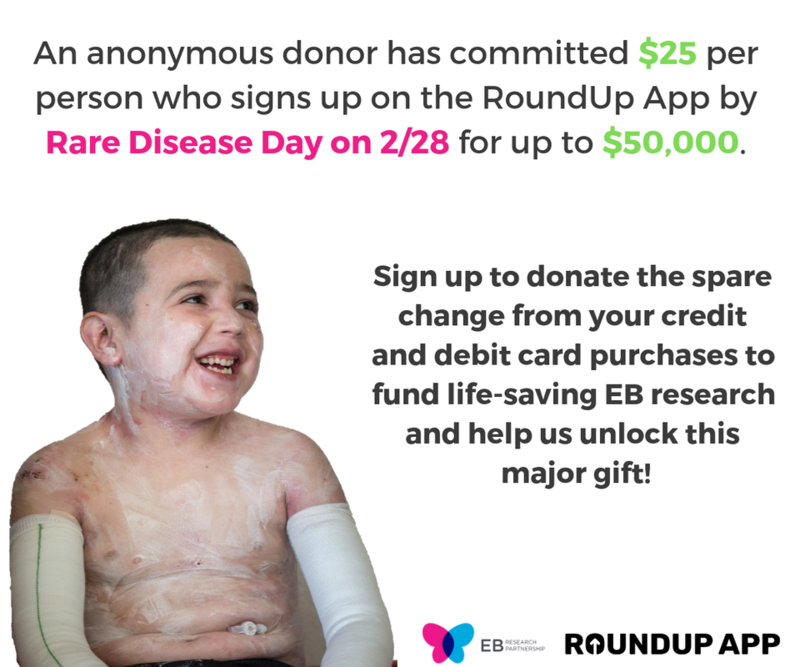 ​Founded in 2010 by a group of dedicated parents along with Jill and Ed Vedder (Pearl Jam), EB Research Partnership (EBRP) is the largest 501(c)(3) nonprofit dedicated to funding research aimed at treating and ultimately curing Epidermolysis Bullosa (EB), a group of devastating and life-threatening skin disorders that affect children from birth. EBRP utilizes an innovative venture philanthropy business model. When making a grant to a research project, we retain the added upside of generating an additional revenue stream if the therapy or product is commercially successful and use the return on investment to fund additional EB research until a cure is found. EBRP is committed to the highest financial responsibility, directing nearly 90% of revenue to research and related programming. By partnering with us, you will greatly further our mission to develop life-saving treatments for EB and be part of the team that will cure a diabolical disease.